The finest law enforcement burial flag case anywhere, bar none. Each our flag display cases are constructed from the highest quality solid oak, walnut, cherry, or Mahogany. The double strength glass is laser engraved your choice of Law Enforcement badges. 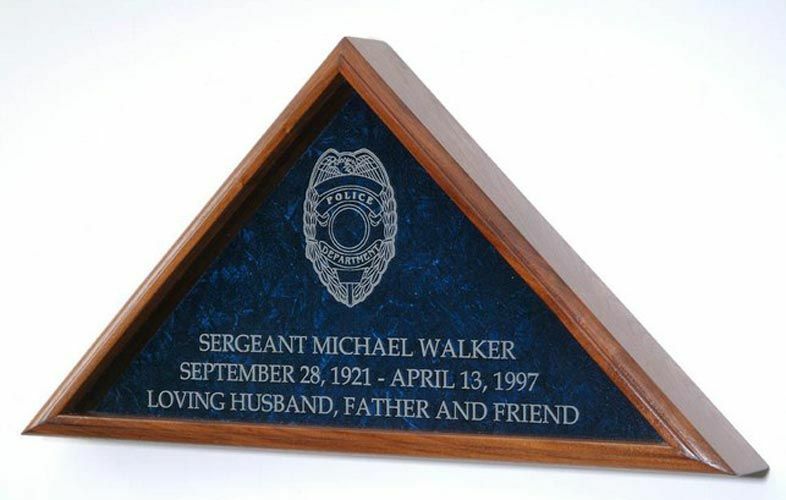 Each Badge can be personalized with the individuals Badge Number and Department name, making this the most fitting heirloom to honor these special individuals who protect us everyday.